Type 1 diabetes (T1D) impacts more than half a million kids age 0-14 worldwide. Unlike type 2 diabetes, it has nothing to do with diet or lifestyle. T1D is an autoimmune disease and management is extremely complex. 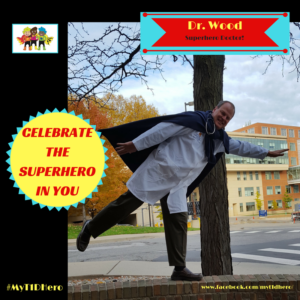 Kids with T1D and their parents that care for them are truly heroes with special superpowers that help them combat T1D difficulties every minute of every day. 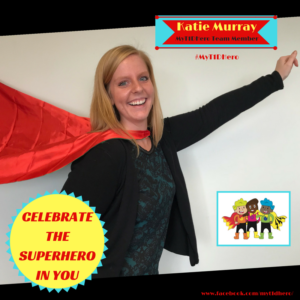 Bree Holtz, assistant professor in the Department of Advertising and Public Relations, and her team of MSU researchers hope to spread awareness of these extraordinary families through their Celebrate the Superhero in You social media campaign that runs the month of November for Diabetes Awareness Month. 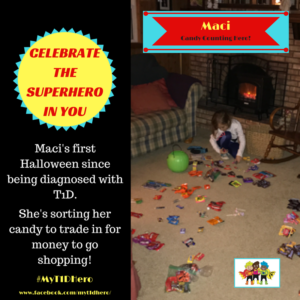 They are asking for all those impacted by T1D in some way to share a photo of their T1D fighting superpower and they will share it on their social media. 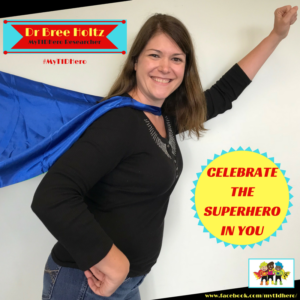 “The goal is to bring attention not only to diabetes in general, but to educate the public on the differences between type 1 and type 2 diabetes and highlight the kids in an uplifting way for their fierce courage of facing the extreme demands of managing type 1 diabetes,” said Holtz. 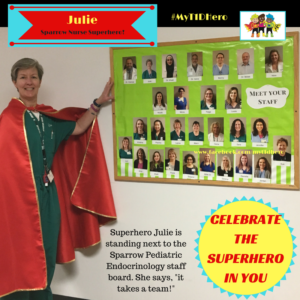 Sparrow Hospital’s Julie Dunneback, MSN, APRN, BC, CPNP, CDE, a nurse practitioner in the Pediatric Endocrinology Clinic and member of the research team is a big supporter of this campaign. 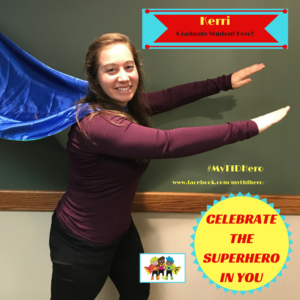 T1D families are encouraged to contact Katie Murray with the MyT1DHero team with a photo of their T1D superhero powers (murra172@msu.edu) or use the hashtag #MyT1DHero on Twitter, Instagram, or Facebook. This account expresses the views of the researchers, and not those of Michigan State University. 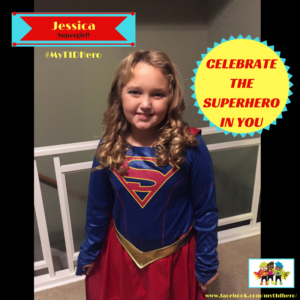 MyT1D Hero Gang by Bree E. Holtz is licensed under a Creative Commons Attribution 4.0 International License. Based on a work at myt1d.org/wordpress.